Kosovo plans to ban gambling within its borders following two murders at local gambling venues. On Friday, an extraordinary session of Kosovo’s parliament approved a measure to suspend operations at all gambling venues ahead of a permanent ban on their operations. Avdullah Hoti, leader of the opposition Democratic League of Kosovo (DLK) party, put forward the motion, which received unanimous support from all 74 sitting MPs. Balkan Insight reported that the government was prompted to act after a staff member at a gambling venue in the town of Suva Reka was murdered on Sunday and another staff member at a venue in Lipjan was killed on Wednesday. Ironically, a police officer was arrested as a suspect in the Suva Reka killing. Kosovo’s government apparently doesn’t feel it has much to lose by restricting its citizens’ ability to gamble, as the sector generated only €15.8m in taxes for the state last year. However, that was more than one-quarter higher than 2017’s tax take and nearly 50% higher than 2014’s returns. Officially, there were 293 gambling venues in Kosovo at the start of the year, although the actual number is believed to be much higher. 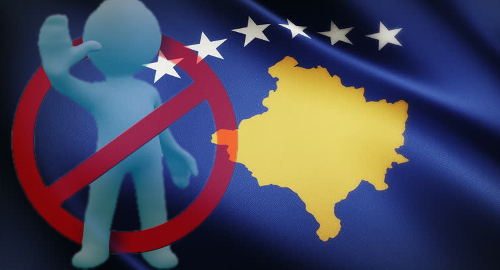 Kosovo’s gambling industry reportedly surged following the late-2018 decision in neighboring Albania to ban gambling venues outside of designated tourist areas and an outright ban on all online gambling. Kosovo’s gambling ban is a dramatic and sudden turnabout from a ‘concept document’ floated in January by the Ministry of Finance, which Prishtina Insight said was intended to simplify bureaucratic red tape that applied to the gambling sector in order to create new jobs and boost economic development.